Let’s be honest. It’s never nice being picked last for anything. Do you remember when you were a kid and they did sports, if you ever got picked last it was absolutely devastating. Well, don’t let your ads end up in the same way when it comes to Google AdWords or any kind of PPC because you want your ads to get picked first. 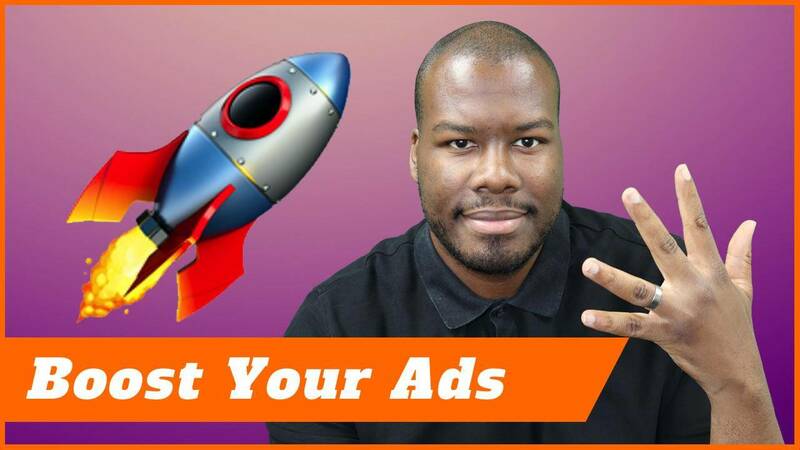 I’m going to give you five tips you can use to make sure your ads don’t get picked last and that is coming up. Hi everyone. My name is Darren Taylor ‘The Big Marketer’ giving you tips, insight and opinion on all things marketing. If that sounds interesting to you, you should definitely consider subscribing. Today I’m going to break down five ways you can improve your AdWords text ad copy for your PPC campaigns, so let’s get right to it. First, up tip number one is to be different, specifically in the headline. Now, what do I mean? What I mean is when you look at the search results page, quite often what you see are very similar looking ads. You might run a car dealership, you might do BMW servicing for example, and you might type the keyword BMW servicing into Google. You hit with the search results page and results one, two, three, and four all look very similar. What they call this is ad fatigue. You want to avoid that. You want to make sure your ad stands out. So how can you do that? Be different. If everyone’s just saying they do BMW servicing, start looking at ways to describe yourself differently to your competitors. Maybe you’re beating them on price point, maybe you’re beating them on service, maybe you have to describe certain ways you can improve and do better than your competitors. Maybe you could even ask a question in the headline. That can get someone’s attention quite often. Again, anything with AdWords you want to test, test, test, but what you want to avoid is being the same as your competitors on the search results page. Because why would I as a person looking for your services, want to click your link when your ad is pretty much the same as your competitors? You’re not differentiating yourself. Now, on to number two. Now this one may seem very obvious, but that is to check your spelling and grammar. Please. Because I’ve seen time and time and time again on different ads I’ve taken over. When I’ve taken over a PPC campaign or I’m looking the search results page, I see competitors websites and their ads having spelling mistakes on. Now, this is absolutely terrible. There’s no excuse really, not to do basic things right. In terms of spelling and grammar for your ad campaign make sure your spelling and grammar is correct, because as a person searching, if I see your ad doesn’t have correct spelling or any kind of grammar-ish issues in the ad, I’m going to be less likely to click yours because you can’t even get something that simple right. How am I going to trust you with probably a high-value service? Guys, go back to school and make sure you know you can spell and use correct grammar and punctuation. Tip number three, and this is to use strong words to trigger an emotional response. Now imagine reading an ad and it says your service is good, it’s nice, it’s great. These aren’t really strong emotional words. They’re words we’re used to seeing. When I say emotional words, what I really mean are words like compelling, you’ll love it, that kind of strong emotional response where you can tie that straight to your brand. Now, writing listen to ad copy with the character limitations within AdWords can be a challenge which is why as a left-brained PPC person, it might be good to get some help from someone who can write in quite a good way in some respects. That kind of help is quite good for a PPC person who’s driving into numbers essentially. Someone like that can really help flesh out these kind of words. If you’re a natural writer and you’re good at PPC you’re winning. Fantastic. Continue doing what you’re doing and make sure you use compelling words in your ad copy because that can really grab someone’s attention and apply the emotional attachment to a potential purchase. Number four is also about the language you use in your ad copy and this one is key. Do not use buzzwords. Please don’t use buzzwords. It really frustrates me when I see buzzwords if you can’t tell. In all seriousness, buzzwords are terrible things like, “We won’t be beaten on price. Absolutely free.” You know, those kind of terms you hear that you just automatically repel because most people hate marketers and advertising. Most humans don’t want to have words like that connected to them. As soon as you hear “absolutely free” you’re thinking, “Hmm, what else is there? What’s the catch?” That’s the instant thought you have in your head when you hear words like that. So make sure you avoid using those kind of marketing buzzwords and things that people over the years have become resistant to because that’s really going to hurt your click-through rate. Finally, we move on to number five and that is to work on a strong, compelling call-to-action. You will be surprised the number of ads I’ve seen with no or a weak call-to-action. What is a call-to-action? It’s basically the instruction you give somebody of what to do when they get to your website. If you’re an e-commerce site and you have to make an order, it might be “order today”. If it’s a consultancy it might be “call today” or “register today” or something along those lines. Make sure you know what people want to do or what you want people to do when they get to your website and then when they’re there, they’ll know exactly what’s expected of them before they even click. That is a fantastic way a call-to-action should work. Of course, like anything with AdWords, test, test, test. Find the best call-to-action by iterating and testing and seeing which version of the call-to-action gives you the best click-through rate. Because the better your click-through rate, the better your quality score. The better your quality score, the more profitable your campaigns will become. Thank you so much for watching. I hope you enjoyed this video. You should check out the other videos on my channel. If you liked it, like it and go ahead and write any comments you like along this video. How else do you improve your text ad copy? Because I’d love to hear that and of course as usual, please don’t forget to subscribe. I will see you next time.